Come see this wonderful condo in a fabulous gated community! The cozy living room has tons of natural light, with crown molding, newer laminate wood flooring and two inch blinds throughout! 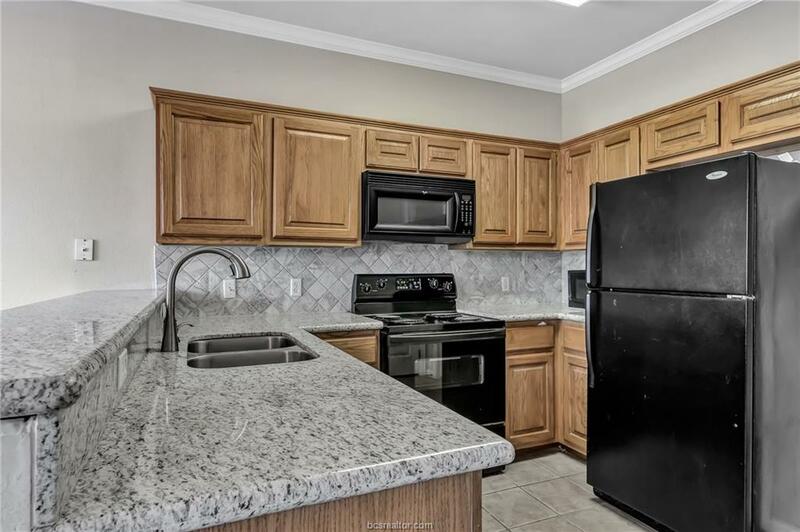 Spacious kitchen with NEW GRANITE COUNTER TOPS, BEAUTIFUL TILE BACK SPLASH and NEW FAUCET! Lots of cabinets, counter space and pantry. AC less than 3 years old! Large bedrooms with walk in closets! 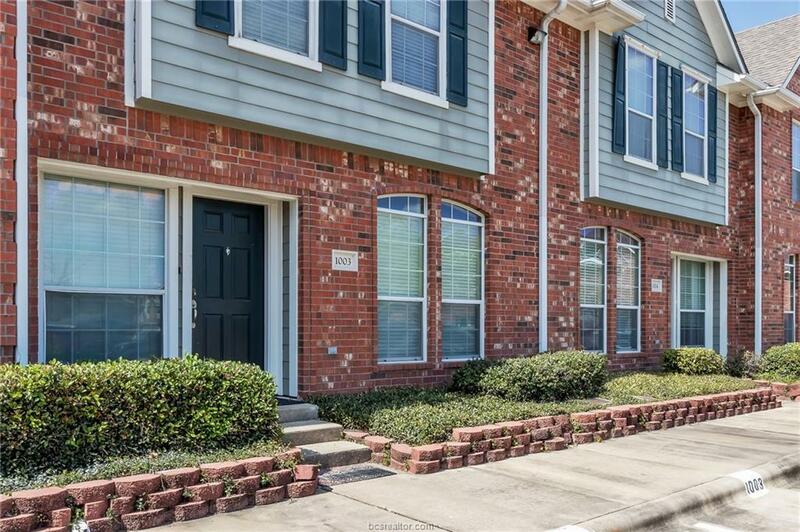 Enjoy your outside back patio, Excellent location in the complex! Pool and half court basket ball, one of the lowest HOA dues! Close to the shuttle bus route, shopping and restaurants. A must see! 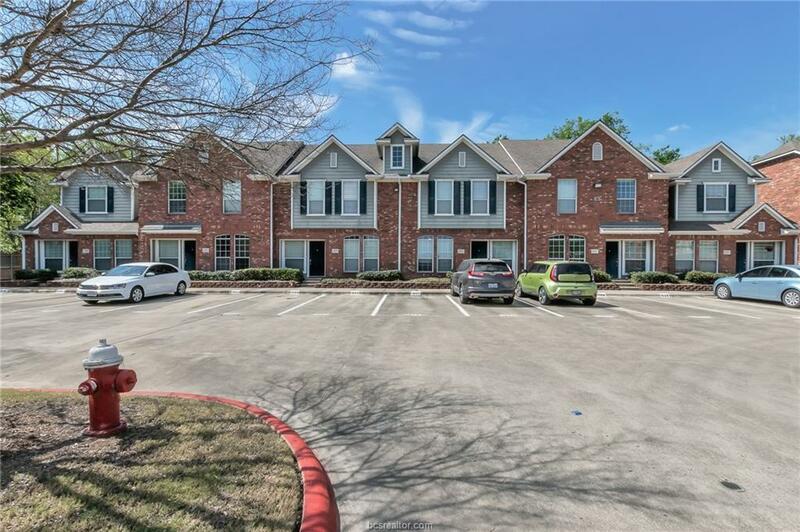 Listing information © 2019 Bryan-College Station Regional Multiple Listing Service. Listing provided courtesy of Lynnea M. Parker of Coldwellbankerag-Town,Realtors. 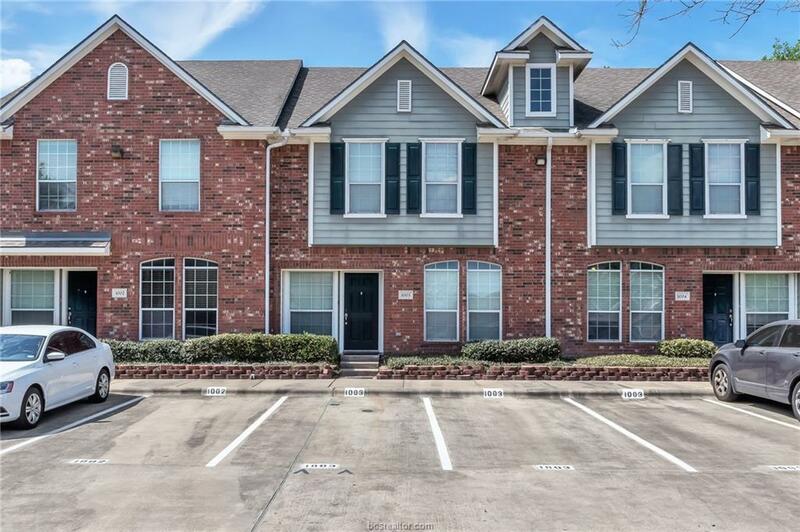 © 2019 Bryan-College Station Regional Multiple Listing Service. IDX information is provided exclusively for consumers' personal, non-commercial use and may not be used for any purpose other than to identify prospective properties consumers may be interested in purchasing. Data is deemed reliable but is not guaranteed accurate by the MLS or Treehouse Real Estate. Data last updated 2019-04-18T08:33:26.7.